Viewing each day as a day to be fully alive in the moment you have allows you to experience every moment to truly Be. The new moon today is a black moon, so named because it’s the second one in March. And, it’s in Aries, which is the beginning of the astrological year. A new beginning. A new day, a new moon and a new year. For the second time this year, as the first was in January with the calendar new year. 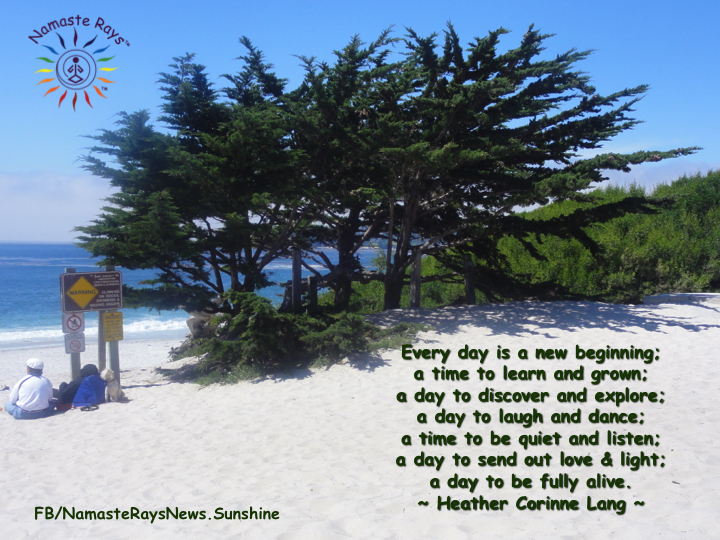 So, today, let’s use this day to begin seeing every day as a new beginning to fully be alive. If you choose to rest, be fully alive in resting. If you choose to dance, be fully alive in dancing. If you choose to go for a walk, be fully alive in your walk. Be fully alive in every experience to get the most out of your life. How do we be fully alive? To be fully alive, dive into your experience with gusto. Be in the moment in mindfulness, being completely conscious of every feeling you have…each touch of a leaf or the wind, each sound you hear, each sight you see, each feeling which arises and each taste you may have. Contemplate all these senses, and sit with (or walk with or lay with) how that makes you feel. Then be aware of that energy radiating within you and imagine that energy radiating outward. I love to do this with trees. There is such a loving energy in trees. Walk up to a tree, and touch it’s bark, the leaves and perhaps the roots. Imagine loving energy pouring from your heart center to the tree. Then be quiet, contemplate the love, and you will feel the love coming back from the tree. Practice this with trees, flowers, animals, insects. The more you practice this, the more mindful and conscious of all things you will be. This is using our senses to be fully alive. a day to be fully alive.